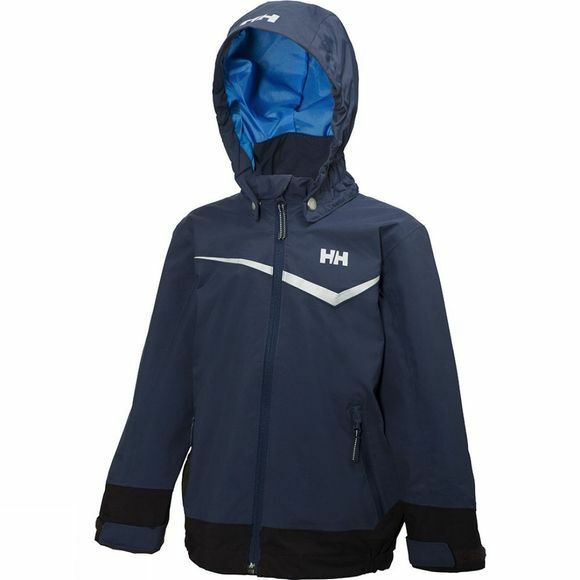 The Kid's Shelter Jacket from Helly Hansen is a waterproof and breathable jacket that has an easily recognizable clean and Scandinavian Helly design. Fully waterproof fabric and fully seam sealed construction creates the needed barrier to make this an all-weather protection winner. Breathability enables high activity and comfort since moisture is not trapped on the inside and 360° reflectivity offers safety in low light conditions.